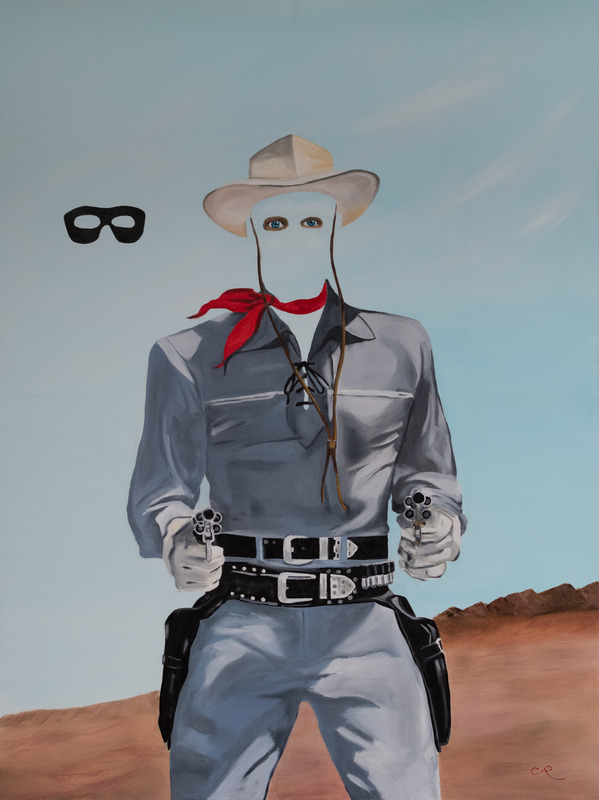 Chris Reecer’s painting “The Lone Pilgrim” will be featured in a Jurored Exhibit entitled “Cultura Del Vaquero” at The Fort Worth Community Arts Center during the Fort Worth Stock Show and Rodeo during January and February 2019. The Lone Pilgrim is the second piece in a homage to the artist Rene Magritte and Reecer’s own West Texas Heritage. The exhibit embraces the spirit and theme of western based artwork. Artists from all 50 states have submitted works of a western theme for consideration. The Fort Worth Stock Show and Rodeo is the oldest continuously running livestock show and rodeo. It has been held annually in Fort Worth, Texas since 1896, traditionally in mid-January through early February. In March 1918, the Fort Worth Stock Show first went indoors at Cowtown Coliseum in the Fort Worth Stockyards. A century later, the Stock Show Rodeo is held at the Will Rogers Memorial Coliseum and has been there since 1944. The Fort Worth Community Arts Center, neighbor to the Will Rogers Memorial Coliseum, is dedicating January and February, 2019 to the spirit of the west. 9000 sq ft of gallery space will be dedicated to works that embrace the spirit and theme of western based artwork. © 2018 chris reecer. all rights reserved.